Get set to relive all the classics at Paisley’s Fireworks Spectacular on Saturday 3 November – this year with a 90s theme! Remember, remember, activities will get underway from 2pm with plenty on offer for kids and families. Take a funfair ride at County Square (open 2pm – 8.15pm), play some iconic 90s arcade games, have your face painted or relearn the moves to Whigfield’s Saturday Night at Paisley Town Hall’s Silent Disco – back by popular demand! We’ve also got workshops galore for kids, including a floor paint zone for wee ones, ‘I Love the 90’s’ lollipop making and animation sessions. All activity workshops are free, simply drop in to Paisley Town Hall to take part from 2pm – 6.15pm. Capital FM presenters Fat Brestovca and Des Clarke will then take to the balcony of Paisley Town Hall for a 2-hour live DJ set from 5pm packed with hits before the spectacular fireworks display lights up the sky above Paisley Abbey at 7pm. The town centre was taken over by the ghoulish extravaganza, which is one of the major events as part of the Year of Young People 2018 celebrations. Around 500 young people and costumed performers took part in the parade, which wound its way through the town centre against a backdrop of historic steeples and spires and the 850-year-old Abbey. A global first, YoYP 2018 is a part of the Scottish Government’s themed-year programme which focuses on celebrating Scotland’s greatest assets. Paisley Halloween Festival is supported by the Year of Young People 2018 Event Fund, managed by EventScotland, part of the VisitScotland Events Directorate. EventScotland is working with the events and festivals sector to develop an exciting portfolio of Year of Young People 2018 public-facing events which provide opportunities for young people to express themselves through a wide range of activity. Local authorities, schools, youth groups and organisations are running their own YoYP 2018 activity. Search #YOYP2018 on Twitter for the latest news. Young people co-designed the Year. A group of young leaders, Communic18, lead on all key decision making. More than 380 Ambassadors are championing activity. The Year is delivered in partnership between the Scottish Government, VisitScotland and EventScotland – part of the VisitScotland Events Directorate, Young Scot, Scottish Youth Parliament, Children in Scotland, YouthLink Scotland and Creative Scotland. The Beltane Fire Society is run by a volunteer Board of Trustees who oversee the year-round operation of the organisation. The Society is funded entirely by donations through its membership and from Beltane Fire Festival ticket sales. We receive no donations from any public funds. Beltane Fire Society is a not-for-profit registered charity in Scotland. The Beltane Fire Society took part in the Paisley Halloween Festival 2018, the video above was taken on the Fire Stage on Cotton Street. You can find out more about the Festival here. An estimated crowd of 34,000 flocked to Paisley for a Halloween spectacle this weekend with amazing floats, flying witches and a Mardi-Gras style parade. Four enormous floats, designed and constructed by creative company Bridgeman Arts alongside Renfrewshire’s young people, delighted the crowds. A giant animatronic ‘Witch and Cauldron’, a ‘Day of the Dead’ funeral scene, an illuminated ‘Witch and Mushroom Patch’ and interactive ‘Pumpkin Patch Man’ captured the Halloween mood. It could only have been topped by the spectacular aerial performance with a cast of witches suspended from Paisley Town Hall, while the crowds were also entertained by top-class performers on the live stage, such as Spark LED drummers. A funfair and cinema screening of horror films added to the packed programme, while families enjoyed workshops including pumpkin carving and costume balls for all ages. The festival, supported by the Year of Young People 2018 event fund managed by EventScotland, part of VisitScotland’s Events Directorate, was significantly enhanced for the themed year with a full town centre takeover. Young people were at the heart of the Festival’s development, with a 20-strong Youth Panel working alongside Renfrewshire Council’s Events Team to design and deliver the programme, while more than 500 took part in a new creative learning programme. This offered the opportunity to participate in all aspects of festival delivery from performance to live event management and technical production. Renfrewshire Council Leader Iain Nicolson said: “Paisley Halloween Festival has really raised the town’s profile and cemented its reputation as a place capable of staging unique, world class cultural events. “It’s been wonderful to see so many people enjoying themselves in Paisley town centre during the two days of free events, while the festival itself has created amazing opportunities for our young people. “In the Year of Young People, hundreds of young people have been involved in what is now one of the biggest events in Scotland, whether it be actually performing, working behind the scenes or coming along to one of our masterclasses and workshops. Louisa Mahon, Renfrewshire Council’s Head of Communications, Marketing and Events, said: “This year’s Halloween Festival was our biggest and most spectacular to date and is now viewed as one of the top events of its kind nationwide. “To have so many of our young people at the heart of the festival’s planning and staging as co-creators made it extra special and we have been delighted to have delivered such a major event in partnership with VisitScotland. Could your little one light up Renfrewshire this Christmas? Switching on the Christmas lights is a dream come true, and this year it will be a reality for three lucky school pupils! Aleena Albin from St Peter’s Primary School was one of the lucky winners last year, and helped Provost Lorraine Cameron switch on the Paisley Christmas lights. Renfrewshire’s Provost, Lorraine Cameron, is once again inviting children of primary school age to design a Christmas card for 2018. Three winners will be selected with each winner having the chance to push the button to light up either Paisley, Johnstone or Renfrew. The winning designs will also be printed as Provost Cameron’s official Christmas cards and sent out all over the world. Entries must be received by Monday 29 October and can be handed into primary schools or posted to Christmas Card Competition, Member Services, Renfrewshire Council, Renfrewshire House, Cotton Street, Paisley, PA1 1WD. https://i0.wp.com/www.paisley.org.uk/wp-content/uploads/2018/10/Paisley-Christmas-Lights-2017-MFG-135-2.jpg?fit=1024%2C787&ssl=1 787 1024 Danielle McGuire https://www.paisley.org.uk/wp-content/uploads/2015/09/paisley-logo-trans.png Danielle McGuire2018-10-17 12:53:192018-10-17 12:53:19Could your little one light up Renfrewshire this Christmas? Almost 25,000 festive revellers turned out for Paisley’s annual Christmas Lights Switch-On, as the town prepares to hear whether it will be named UK City of Culture 2021 next month. Headliners were Northern Irish rockers Ash, who marked the start of the festive season with a performance of hit after hit that thrilled the assembled crowds. The switch-on is the latest event in Paisley’s Winter Events season, itself part of a wider programme in the town’s UK City of Culture 2021 bid. Festive fun seekers enjoyed a host of free family entertainment earlier in the day, including the famous Reindeer Parade down High Street. Renfrewshire Provost Lorraine Cameron pressed the button to light up the town, assisted by lucky schools competition winner, 10-year-old Aleena Albin, from St Peter’s Primary School, who designed a winning Christmas card. An energetic performance from Children’s Classic Concert got young music lovers moving before headliners Ash took to the stage for the main event. The band showcased a string of hits including Shining Light, Girl from Mars and A Life Less Ordinary, before snow cannons blasted confetti across the crowd. At Paisley Abbey, festive shoppers snapped up the perfect gifts from the Slug in a Bottle Christmas Market while the merry Massaoke band played Christmas favourites with the words displayed on giant screens. Paisley has been shortlisted for the UK City of Culture title alongside Coventry, Stoke-on-Trent, Sunderland and Swansea, with a decision expected in December. 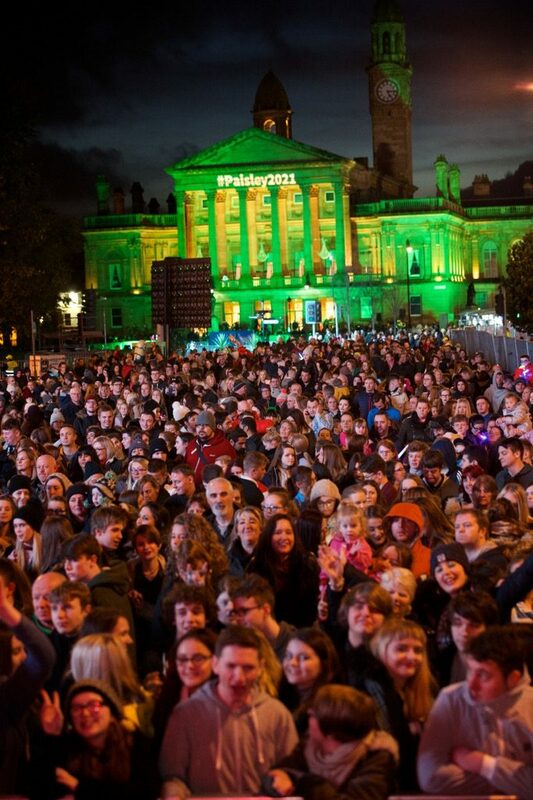 Paisley 2021 Bid Director Jean Cameron said: “With a decision on the UK City of Culture title expected within weeks it’s great to see so many people flocking to our unique town centre to enjoy one of the biggest and most popular occasions on our Winter Events calendar. Paisley is also gearing up to host the four week WinterFest Christmas spectacular from next week, with plans for an ice rink, a panoramic Star Flyer ride and a Continental style market. Hosted by local business improvement district Paisley First, the plans also include a free festive Nutcracker Trail with 10 nutcracker kings spread throughout the town, from Saturday 2 December until Saturday 16 December. Northern Irish rockers Ash will mark the start of Paisley’s festive season with a headline performance at the annual Christmas Lights Switch On. Thousands are expected to head to the town centre on Saturday, November 18th to enjoy a host of free family fun, including the famous Reindeer Parade. 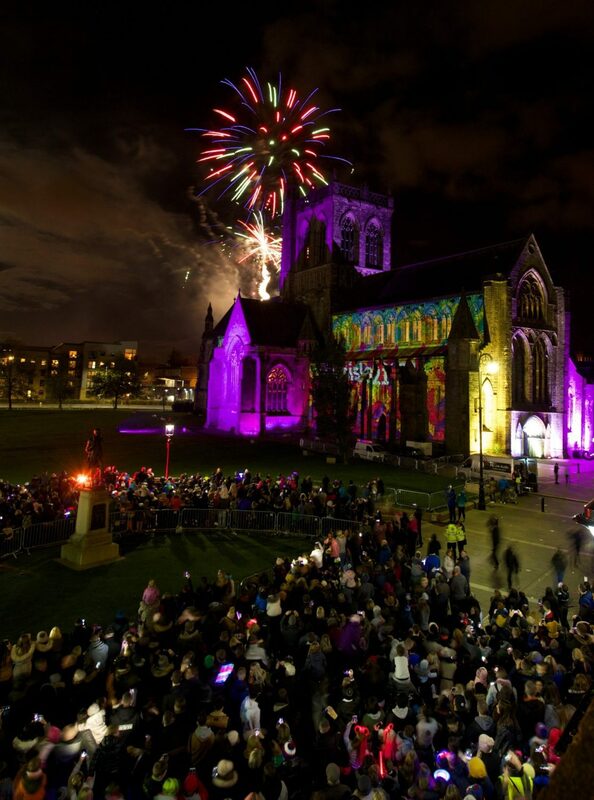 The switch on is the latest event in Paisley’s winter season, itself part of a wider programme in the town’s bid for UK City of Culture 2021. Renfrewshire Provost Lorraine Cameron will press the button to light up the town, assisted by lucky schools competition winner, 10-year-old Aleena Albin, from St Peter’s Primary School. Santa and his helpers will lead the procession down High Street at 1.30pm, before he opens his grotto at the Paisley Centre. 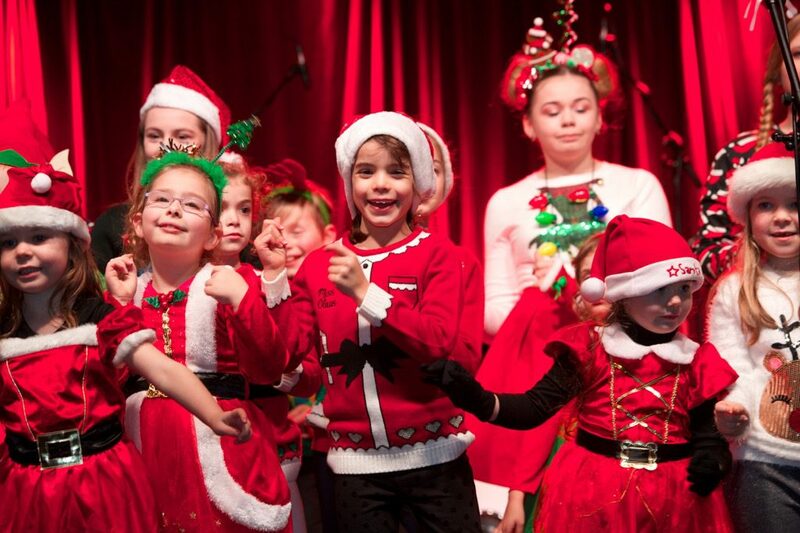 A performance from Children’s Classic Concert will provide a seasonal soundtrack from 2.30pm, with audience participation a must. Twice-voted best music act at the Edinburgh Fringe, percussion superstars Owen and OIly, shake up your idea of classical music with a high-energy family concert. 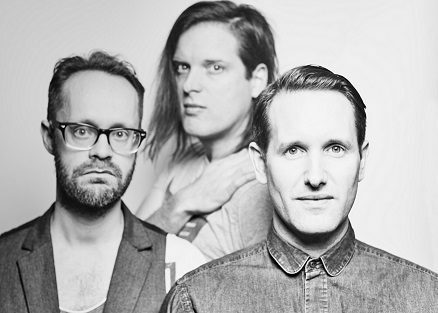 Music headliners Ash will take to the Live Stage at 5.15pm for a performance before the town’s festive countdown officially starts with the annual Christmas Lights Switch On at 6pm. With 18 Top 40 singles including ‘The Girl from Mars’ and ‘Shining Light’ under their belt, the band, who first found fame as teenagers in the nineties, still know how to start a party. Clyde 1 favourites, Callum Gallacher, Greigsy Grant Thomson, Amber, George Bowie and Cassi will be adding to the festive fun by spinning Christmas classics from the main stage. At Paisley Abbey, festive shoppers can explore the Slug in a Bottle Christmas Market from 1pm, with over 30 stalls to search out the perfect gifts. Face painting and storytelling are among the family fun also on offer. An interactive snow globe in will be in Abbey Close for festive photo opportunities. Revellers will find it hard to resist embracing the festive atmosphere and singing along with the merry Massaoke band as they play Christmas favourites with the words displayed on giant screens. Paisley 2021 Bid Director Jean Cameron said: “This year’s Christmas Lights Switch On is bigger and better than ever and will bring thousands of people into the town centre which is great for business. Paisley is also gearing up to host a four week Christmas spectacular in the town from November 24th, with plans, subject to approvals, for an ice rink, a panoramic Star Flyer ride and a Continental style market. Hosted by Paisley First, Winter Fest also include a free festive Nutcracker Trail with 10 nutcracker kings spread throughout the town, from Saturday 2nd December until Saturday 16th December. The event means there will be a series of road closures around the town centre from 12.01am on Saturday morning, including parts of Gauze Street, St Mirren Street, Cotton Street, Lawn Street and Smithhills Street. County Place, Gilmour Street, High Street and Abbey Close will close from 8am on Saturday morning until after the event. In the two years since Paisley launched its bid to be crowned UK City of Culture 2021, the town has discovered a new found optimism and confidence. Paisley was shortlisted for the title in July, along with Coventry, Stoke-on-Trent, Sunderland and Swansea. A decision by competition organisers the Department for Digital, Culture, Media and Sport is expected next month. Since the town officially declared its title ambitions at Paisley Abbey on November 13, 2015, as part of a wider plan to transform the area, more than 34,000 people have been involved in the conversation around the bid. Paisley’s popular events calendar has seen a marked increase of over 34,000 visitor numbers in 2017 so far – with a number of fantastic events still to take place in the town before the end of the year. The town’s major events have also seen a 37% increase in visitors from out with Renfrewshire. Sharon McAulay from the award winning Paisley-based community initiative, the STAR Project, said: “The impact of the bid so far has been huge. “When we were shortlisted attitudes literally changed overnight. People believe that we can actually do this, that Paisley is so much more than a bunch of negative statistics. 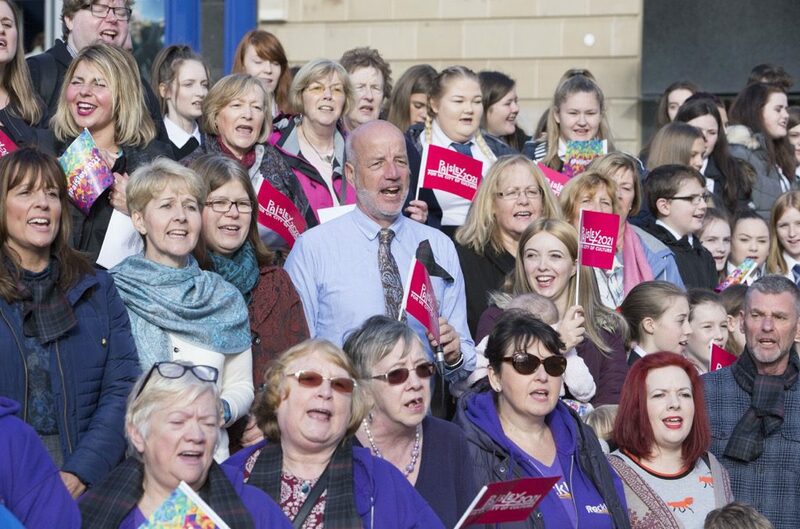 “This bid is a real opportunity for us to show the world that Paisley is ready to be put back on the map. More than 200 local businesses and a raft of sponsors have also backed the bid. 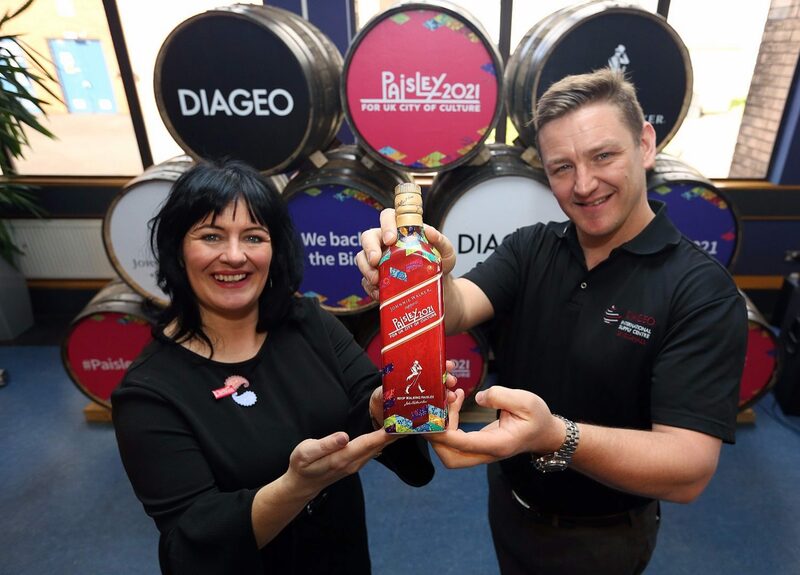 Companies with international links including Glasgow Airport, drinks giants Diageo and Chivas Brothers have pledged funding totalling £260,000 if Paisley wins the title in December. 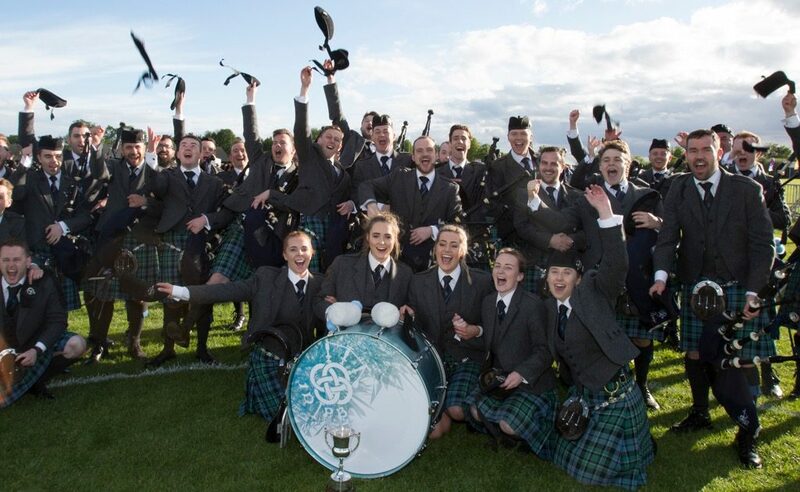 Major milestones have included the town hosting the British Pipe Band Championships, with Paisley also welcoming the Royal National Mod in either 2021 or 2022. 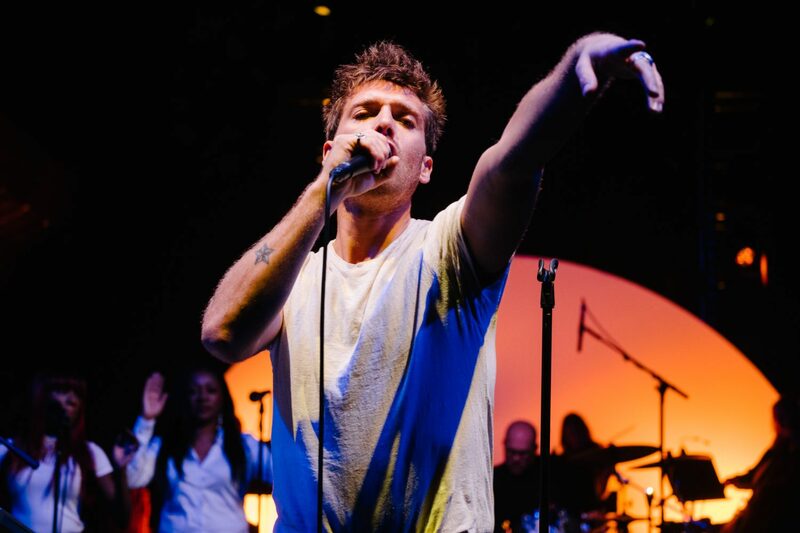 Home grown star Paolo Nutini hosted a triumphant homecoming concert at Paisley Abbey in October as part of this year’s annual Spree Festival. 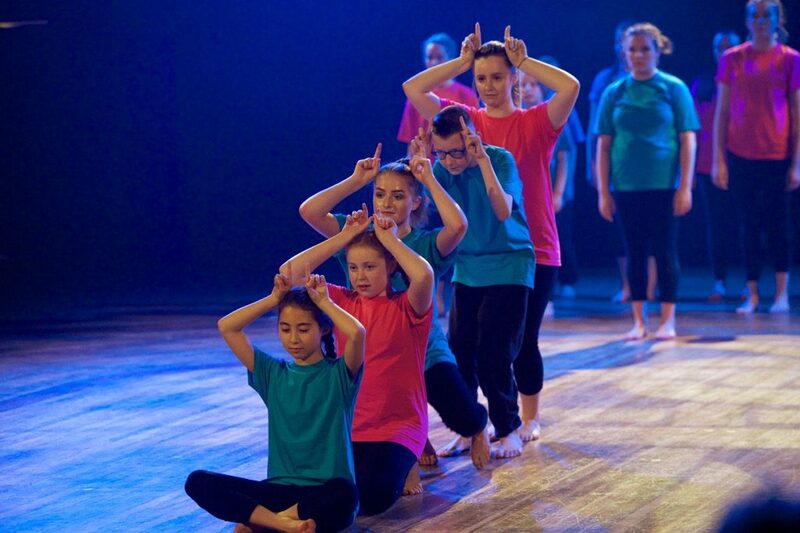 Local dance company Right 2 Dance brought internationally renowned choreographer Sir Matthew Bourne’s New Adventures & Re:Bourne company to Paisley to deliver a week-long series of workshops and work with young people in the town. School children from across Renfrewshire also set a new world record for the largest ever architecture lesson. Using coding game Minecraft, 406 pupils from eight local primary schools were guided through a history of Paisley’s architecture and learned how to create buildings using code. Paisley 2021 Bid Director Jean Cameron said: “Paisley’s connections throughout the UK and the rest of the world have continued to grow and grow in the two years since the bid was launched. We have seen Paisley designers showcase their work at London Craft Week and reach new markets from their base in the town. “There have also been a number of international link-ups, including the opening concert of this year’s Spree arts festival which twinned with the Rajasthan International Folk Festival in India. “We have initiated cultural conversations at Westminster and thanks to our £1m Culture, Heritage and Events Fund, the local creative scene is benefitting from new national partnerships. “Launching the bid has generated a positive outlook for the future in the town and surrounding areas. Hosting the title could also create the equivalent of 4,700 jobs over ten years and provide a £175m economic boost to the local economy. The Paisley 2021 campaign has also helped boost the town’s global links – and even to outer space when a patch of the Paisley Pattern was sent on board a rocket bound for the International Space Station in July 2016. Alan McNiven, the CEO of community group Engage Renfrewshire, said: “The bid for Paisley to be City of Culture 2021 has created an atmosphere of energised excitement – and that energy has created countless amazing, emotional moments over the last two years. “The Paisley 2021 movement has provided fantastic opportunities for local engagement and we’ve heard thousands of Paisley voices describing their enthusiastic support for the UK City of Culture 2021 campaign. Thousands turned out to enjoy a dazzling display as Paisley’s annual fireworks spectacular went off with a bang this weekend. The town’s historic skyline lit up in the extravaganza which delighted the gathered crowds of more than 25,000 when it burst into life on Saturday night, accompanied by an 80s soundtrack. The themed event took place as part of Paisley’s Winter Festival as the town bids to be named UK City of Culture 2021. Each of the town’s rivals – Coventry, Stoke, Sunderland and Swansea – were given a surprise musical shout outs across the day. The soundtrack to the display itself referenced Sunderland with ‘Sweet Dreams’ by the Eurythmics in celebration of the duo’s Dave Stewart, who hails from the city. Radio Clyde DJs Callum Gallacher and Grant & Amber earlier added to the musical fun, with George Bowie & Cassi also playing 80s classics leading up to the dazzling display, introduced by Renfrewshire’s Provost Lorraine Cameron. Earlier in the day revellers enjoyed a host of 80s themed free family fun, including a silent disco, kids workshops and retro arcade games. Remode Redesign ran fabric print workshops using a range of 80s games themed wooden blocks, while a silent disco saw two sets of music fans of all ages dance to different soundtracks through headsets. Paisley’s bid for UK City of Culture 2021 is part of a wider push to use the town’s unique heritage and cultural story to transform the whole of the Renfrewshire area. Paisley 2021 Bid Director Jean Cameron said: “This year’s display was nothing short of spectacular and it was great to see so many of the community come into the town centre to enjoy it. 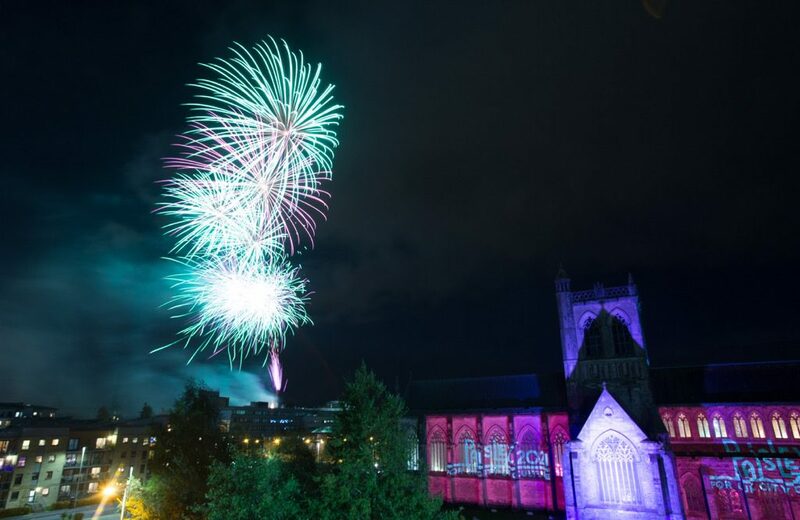 “Seeing the fireworks against the back drop of Paisley Abbey really is something special and as we bid to be named UK City of Culture 2021 it’s a great reminder of how Paisley is capable of staging events such as this one. “We were also delighted to pay special tributes to our fellow UK City of Culture 2021 rivals with a musical shout out at one of our biggest annual events. The fireworks display follows the Halloween festival and parade in the town centre and precedes the Paisley Christmas Lights Switch-On on November 18. Photographs of Paisley Fireworks Display 2017. Thousand’s turned up to tonight’s event. Paisley was packed and the 80’s music went down a storm with families with the kids being stunned by the powerful display held at the heart of Paisley’s Historic centre.